Mark McLaughlin was interviewed for 'Where Writers And Authors Meet' blog hop which was started by the Where Writers And Authors Meet Facebook Group. 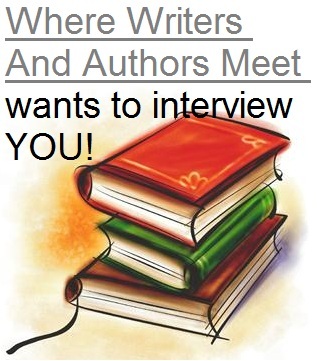 The rules for this interview blog hop as well as how others can join can be found here. The short version of the rules are that someone from the group recieves questions from the group and answers them while tagging someone else in the group to interview. They are then supposed to answer their own questions and post 10 or more questions at the bottom for their next (tagged) person to answer.The following questions were posed to him by Virginia Jennings who went before him and sent him these questions to answer. You can find Virginia's answers to her own questions here. Mark McLaughlin is a Bram Stoker Award-winning author whose fiction, nonfiction, and poetry have appeared in almost one-thousand magazines, newspapers, websites, and anthologies, including Galaxy, Black Gate, Fangoria, Living Dead 2, The Best of All Flesh, Writer's Digest, Cemetery Dance, Midnight Premiere, Dark Arts, and two volumes each of The Best of the Rest, The Best of HorrorFind, and The Year's Best Horror Stories (DAW Books). His most recent books are the zombie story collection, Beach Blanket Zombie (Wildside Books); Partners in Slime (Damnation Books), a collection of monster stories co-authored by Michael McCarty; and the horror novel Monster Behind The Wheel (Medallion Press), also co-authored by Michael McCarty. All three are available from Amazon.com. Additional collections of McLaughlin’s fiction include Motivational Shrieker, Slime After Slime, Pickman's Motel, Raising Demons for Fun and Profit, and At the Foothills of Frenzy (with co-authors Shane Ryan Staley and Brian Knight). With regular collaborator Michael McCarty, he has written All Things Dark & Hideous and Professor LaGungo's Delirious Download of Digital Deviltry & Doom, and Professor LaGungo's Classroom of Horrors. Also, Mark is the co-author, with Rain Graves and David Niall Wilson, of the poetry collection, The Gossamer Eye, which won the 2002 Bram Stoker Award for Superior Achievement in Poetry. Mark also writes a blog on cinematic horror called BMovieMonster.com. He is also a marketing and public relations specialist, writing articles for business journals, newspapers, trade publications and websites. 1. You claim, on your blog, www.BMovieMonster.com, to love scary movies and B-movies... what about them do you find particularly fascinating? The movies of the imagination represent some of humankind’s most rambunctious fantasies. I find that some of the older, cheaper movies are actually more imaginative than today’s big-screen epics. So many big-screen movies are created and produced by committee, and that can make them more commonplace and homogenized. Scary old B-movies are often the vision of one highly imaginative powerhouse of a creator, so they’re far more original and idiosyncratic. My Greek grandmother on my mother’s side always encouraged me to be creative – to write, to draw, to tell stories. She used to buy long sheets of butcher’s paper and ask me to draw entire cities for her. After I’d drawn a particular city, I would tell her about the lives of the citizens. In one of those cities, the citizens were monsters who kept humans for pets. Later, when I started reading books of horror stories, I came to realize that I liked my stories more than the ones I would find in books. So, I started writing when I was quite young, and haven’t stopped yet! 3. You like horror; do you also enjoy other types of books besides horror? Which books/authors would make it onto your favorites list? I often read books about old horror and sc-fi movies and TV shows. And, I read a lot of science books. I love scientific issues, but I suppose I could never be a scientist because I’m not that good at math! I love to read about the rover exploration of Mars, and all the various discoveries. My favorite authors are Robert Aickman, H.P. Lovecraft, August Derleth, Robert Bloch, Hugh B. Cave, Clark Ashton Smith, Robert W. Chambers, Bram Stoker, Jules Verne, H.G. Wells, E.F. Benson, Edgar Rice Burroughs – the list goes on and on. The vast majority of the authors I like are dead, but I don’t rule out the living! My favorite living writer is Basil Copper, who writes excellent, sophisticated macabre tales. 4. What advice would you give to other authors who are trying to promote their books? How do you find YOUR audience? Be realistic, and realize that everyone isn’t going to like your work. If you write horror and none of your friends, neighbors, or coworkers like horror, that’s okay. They don’t have to like it – there are lots of other people in the world. Do your best to get your work in front of people who expressly like the kind of stuff you write. Don’t try to tackle the whole world – you’ll spread yourself too thin. Find your niche, start there and work outward. 5. What is your favorite part of writing (world building, character building, dialogue, scene building, etc) and why? My favorite part is coming up with new and strange concepts. That’s why I like writing zombie fiction. In my stories, I've raised the dead with a matter transference machine ... Aleister Crowley rituals ... films with subliminal content that zombifies folks ... horror movies coming to life for various reasons ... formulas made with jungle mold ... and, simply baptizing the dead. There are ALWAYS new ways to raise the dead, as far as I’m concerned. 6. Do you have a favorite spot you go to write, or a favorite spot you go to for inspiration? My desk, right in front of my keyboard! 7. What is your favorite part about writing in the horror genre? It’s wild stuff, and I like to get wildly inventive. Plus, it’s a genre filled with powerful emotions. My story “Tell Your Secrets to the Slime,” which is in Beach Blanket Zombie, is one of my most emotional, heartbreaking stories. And, it’s filled with grotesque, alien imagery, since it’s a science-fiction horror story. A person can cover wonderful vistas of strange territory in the horror genre. 8. If you had to choose, what type of story do you like to write best: Novels or short stories? I love the short-story format, and that’s my favorite. But I certainly want to do more novels, and have several in the works. And even when I’m writing a novel, I treat every chapter like it’s a short story. 9. Do you only blog when you feel inspired or do you have a regular blogging schedule? If so, how do you think up new material? I really need to establish a more consistent blogging time-table: right now, I’m posting as inspiration hits and my schedule allows. But hey, nobody can accuse me of slacking off: I always have a full slate of writing projects in the works. 10. Now that you have a bunch of stuff published, what drives you to keep on writing? Do you have a goal you are reaching for? I still have plenty of ideas bouncing around in my head, and I always will. That’s why keeps me writing: I have to let the ideas out so they can stretch their membranous wings. As for a goal… Well, I’d keep writing whether I had a million readers or only two – or just myself. I’m not trying to be the most popular writer in the world, since popularity is a fleeting experience. Ultimately, my goal is to keep writing the best stories I can, for as long as I can. Of course, I do like to keep in touch with folks! People are welcome to befriend me at www.facebook.com/MarkMcLaughlinMedia. Thank you for the interview, Virginia! Your support is much appreciated! 1.) For folks who haven’t read your work yet, give us an overview of what they can anticipate. What genres do you write in, and what themes do you like to explore? 2.) What was your first published work – a poem, a story, a book? Tell us about it. 3.) You wrote a vampire novel with Michael McCarty called BLOODLESS. How can a vampire book be considered bloodless….? 4.) Tell us about your book, SUBURBAN WEIRD. I understand that it’s about a woman who becomes a pawn in a game of love and lust. Are all of today’s suburbs filled with such decadence? 5.) Tell us about your book, AFTERNOON TEA. Do you take tea in the afternoon? 6.) You’ve been compared to a modern-day Bronte sister. Why is that an apt comparison? 7.) Your photos on Facebook are quite glamorous. Do you live a glamorous life? 8.) You’re a fan of Marilyn Monroe. What do you like most about her? 9.) What do you do when you’re not writing? What’s a day in the life of Jody LaGreca like? 10.) Are you working on, or planning a new book right now? What can you tell us about it?